After childhood on the farm, Saige attended Northwest College and the University of Wyoming, obtaining a Bachelors degree in Communication. Putting her high school and college debate experien ce to good use, Saige went on to attend the University of Wyoming College of Law. 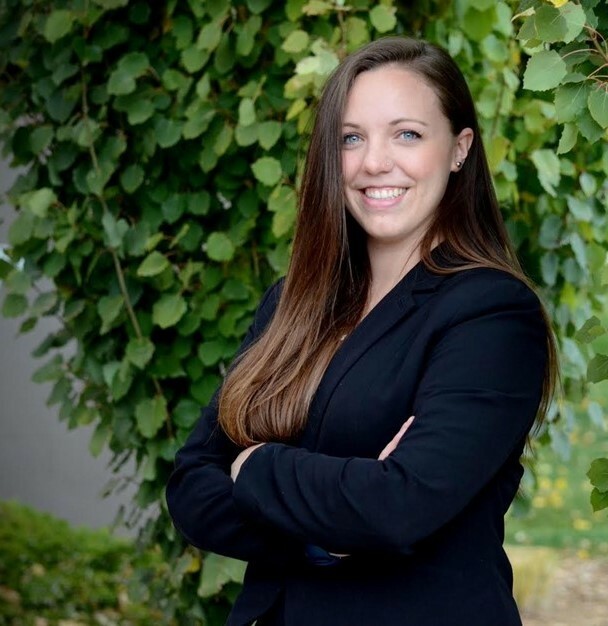 While in law school, she was part of the Jessup Moot Team, Davis and Cannon Moot Court team, and competed at the National Environmental Moot Court Competition in New York. Saige also served as research assistant to Professor Darrell Jackson, as well as Student Director of the Prosecution Assistance Program Clinic at the College of Law. In her role as Student Director Saige was given the opportunity to write a brief to and argue in front of the Wyoming Supreme Court, winning her case for the State of Wyoming. Saige will be working out of both the Gillette and Newcastle offices of Berger & Brown, but she lives in Newcastle. She was appointed as deputy county and prosecuting attorney in 2018, but still works part-time for Berger & Brown. In her free time, Saige enjoys spending outside with her dog, Cinder, and visiting her family. She is excited to serve the eastern part of the State as a new attorney.